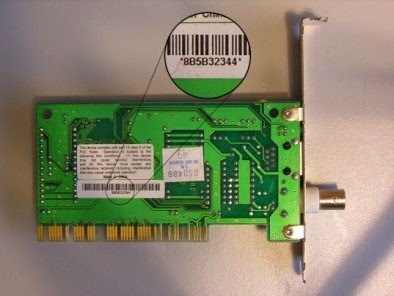 Do you know that each and every computer/laptop having Network Interface Card (NIC) also known as Ethernet card has a Unique MAC Address? What is the need and Significance of Unique MAC address? MAC address also known as Media Access Control is a 48 bit hexadecimal key which identifies a machine of Network when connected to LAN/WAN. 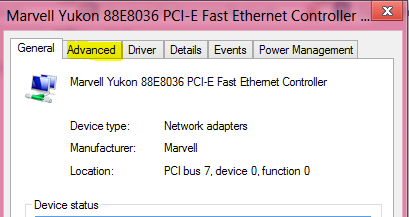 The Unique MAC address is burnt in the ROM of the Ethernet card. Whenever any request is sent on Network, The ARP packets contain IP address of the Machine along with the MAC address which uniquely identifies a Machine on Network. So each and every above such devices should have a unique MAC address. 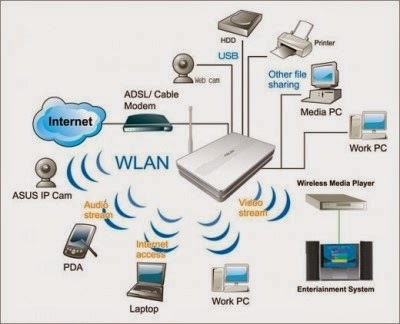 Consider the above Image scenarios wherein many devices are connected to a Wi-Fi router. Whenever you try to connect the Device with router an ARP (Address resolution Protocol) packets is sent from the device to the router. The ARP packet which is sent from the device contains the MAC address of its Network Interface controller. As soon as the ARP packets are received by the router, the router checks for Authentication of the device and if the device is Authentic then it sends RARP Packet (Reverse ARP). RARP Packet contains the MAC address and the IP which has to be assigned to the device. Since there can be many devices simultaneously trying to connect the router, the RARP packet will be broadcasted to all the devices. But only those devices which match with the MAC address of the RARP packet will be able to accept it and get the Assigned IP address to the device. Since the packets are broadcasted, if the devices doesn’t have a unique MAC address it won’t be able to interact with the Layer 3 devices on Network and Hence will be unreachable from the network. Nowadays everywhere Wi-Fi routers are used to connect to devices like Laptops, PDA, Mobile Phones, etc… replacing the old CAT5 cable. In case of Wi-Fi, since it is an air interface the signals are reachable to surrounding areas also and thus can be used by any intruder who has the Wi-Fi signal reachability to enter in to the secured network and gain access to the important/crucial information thus resulting in Information security breach. So as to avoid this, almost all the Wi-Fi router comes with MAC filtering. Which means that the network admin of the Router can already specify that only the listed MAC address are authentic and should be allow to be connected and rest other devices should be blocked. See below the Screenshot of my Home Router in which I have specified only two MAC address. So whenever anyone else with other than this mentioned MAC address is in the range on the network and tries to connect to the device it will be blocked because the MAC address filtering is enabled. So in this case we can spoof the MAC address with the one which is allowed and can enter in to the network and use the network resources. There are many third party applications available, some free and some paid with which you can easily spoof your MAC address. 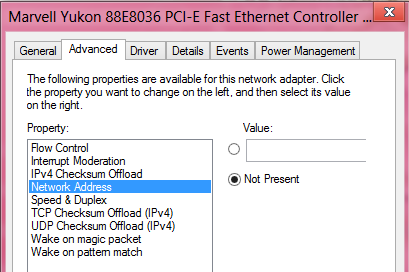 But I will let you know how we can use Windows predefined functionality to Spoof the MAC address. 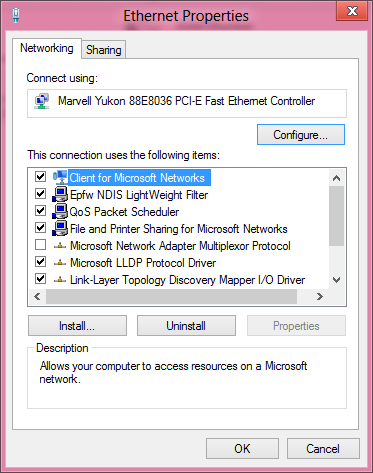 2) The above command will open network connections, in network connections find your Network Adapter of which you have to change the MAC address. 5) Click on Advanced Tab as highlighted in the above image. 7) Once you have entered the MAC address, click on OK and you are done. Yes! Indeed you are done. You have successfully spoofed your MAC address. 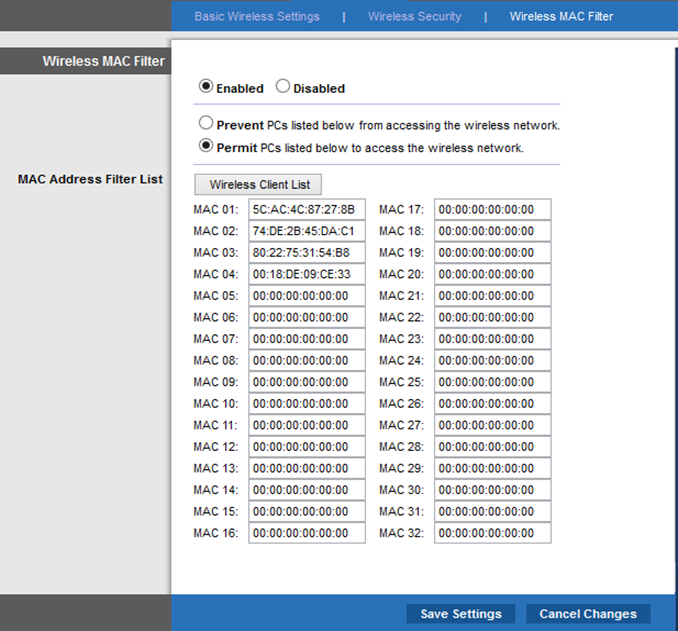 Check the below screenshot which shows the router settings page on which MAC filtering is Enabled. Only PC or devices with the below mentioned MAC address will be allowed or denied as per the option chooses in the Admin settings of the router. In case your MAC address is blocked by network Admin, then you can spoof up and change your MAC address to connect and gain access to the Network resources. Even Most of the ISP bind your Login ID and Password to your PC and in any case you want to access internet on any other PC, other than in which the MAC Address is binded by ISP, you can use this method to use internet on other devices as well. Many software applications which are licensed to single user single PC, is binded using MAC address and that can be reused in many PC using MAC spoofing.